When working in such a fast-paced industry as additive manufacturing, keeping up with industry trends is paramount. Attending AM events is a great way to expand your knowledge while meeting and networking with innovators and leading professionals throughout the industry. 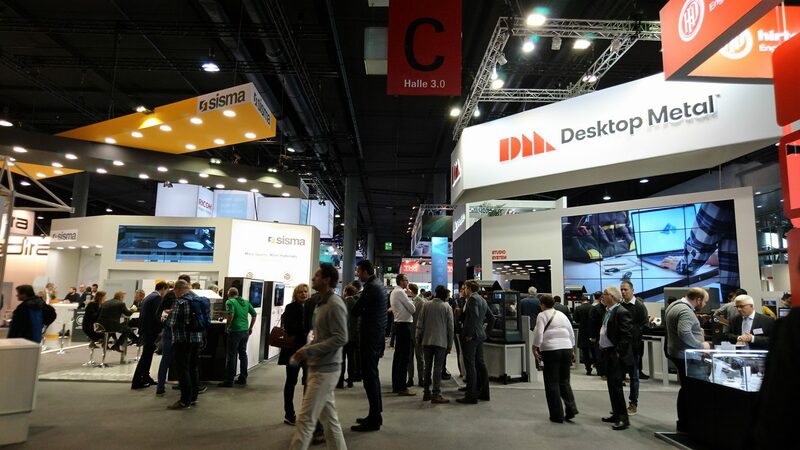 To help you keep up with the latest additive manufacturing industry news and forge the connections you need to succeed in 2019, we’ve put together an updated list of the key trade shows you should watch out for this year. TCT Asia is one of the most-attended AM trade shows in the APAC region. 2019 will see the fifth TCT Asia event, attracting a host of leading players in the 3D printing industry and thousands of visitors. Since it was first held in 2015, the TCT Asia trade show has developed into one of the most important 3D printing events for the Asian market. The show will gather the latest in 3D printing technology and services under one roof, providing a platform for visitors to learn about the whole product chain of the 3D printing industry. HOUSTEX is a North American manufacturing trade show, dedicated to showcasing advanced technologies and processes. At the trade show, you’ll be able to explore an array of technologies, from additive manufacturing to robotics to and cutting-edge software. With more than 280 exhibiting companies, the show will provide a great opportunity to speak with experts and build connections whilst witnessing the technologies in action. The third AMX Expo showcases the latest products and services in the AM industry. AMX will also host the innovation symposium, where participants will be able to present their AM solutions and applications. At the AMX, exhibitors will be demonstrating what’s currently achievable with the additive technologies across various application areas, including medical, mobility, consumer and industrial goods. In ten different focus topics, exhibitors and experts will be sharing their insights into the successful implementation of AM and the ways of overcoming challenges AM adopters may face. RapidPro is an international trade fair that focuses on AM solutions for different production stages, from prototyping and product development to low-volume manufacturing. The 9th edition of the RapidPro event will feature multiple AM technologies alongside traditional manufacturing techniques and software solutions. At the trade fair conference, 16 speakers will be sharing their expertise and know-how, highlighting the growing role of AM in the digital transformation. Additive manufacturing forum is the third user-oriented cross-industry conference. The two-day event’s main focus is to provide a platform, where they can learn from each other across industries in the use of the new technologies. This year’s AMForum will be centred around four topics, including new materials, development and design, AM series production, and AM business models. In 20 keynotes, master classes and 4 workshops, leading experts will share their experiences from the manufacturer or user perspective. 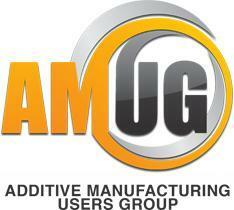 Now in its eighth year, Additive Manufacturing Users Group (AMUG) is a well-established, industry-wide conference which brings together AM practitioners to share information, tips and tricks on AM processes, applications, materials, ancillary equipment, and industry trends. Spanning five days, AMUG is a must-attend event for those looking to keep up with the latest developments in the industry. At the cornerstone of the event – the Education and Training Conference – attendees will have a chance to participate in training sessions and workshops, exchange ideas and network. Hannover Messe is one of the largest trade shows for industrial technologies, providing a complete picture of the industrial value chain. The 3D printing portion of the event will be part of the event’s Digital Factory, which will also host the 5th Additive Manufacturing Symposium. In the Digital Factory zone, you will have the chance to visit the Additive Manufacturing Plaza which will demonstrate how complex products can be directly produced from 3D models. The Additive Manufacturing Symposium will be looking at the opportunities and benefits of additive manufacturing for mechanical engineering, providing practical examples from the field. 3D Printing Europe is part of the IDTechEx Show, which highlights the latest emerging technologies. Co-located alongside conferences on Internet of Things, electric vehicles, wearable technology and more, the event will be a great opportunity to get exposed to the most relevant technology trends. While learning how better leverage the large overlap between these state-of-art technologies, attendees will also gain insight into the applications and technical and market progress of additive manufacturing. 3D Printing Event is a series of conferences dedicated to additive manufacturing. It encompasses design, materials, post-processing and factory integration. The conferences will address various topics, from topology optimisation software and blockchain technology to post-processing solutions to hybrid manufacturing. There is also the 4D Printing & Meta-Materials Conference where researchers will review the opportunities and future applications of 4D printing. RAPID + TCT is North America’s leading additive manufacturing event where the additive manufacturing industry gathers to showcase new trends and developments. The 2019 event already boasts attendance from major additive manufacturing equipment manufacturers. These include the likes of HP, Stratasys, Desktop Metal, GE Additive, and TRUMPF North America, among many others. Each will demonstrate smart solutions to further drive industrialisation of additive manufacturing. In addition to activities like workshops and keynote presentations, this year’s RAPID + TCT offers a new SME Zone – a platform to engage with experts and like-minded peers and experience industry’s most advanced smart technologies, demonstrated at Smart Manufacturing Hub. Technology LaunchPad is another must-attend feature of the event, showcasing the latest technologies, applications and new product announcements. AMPM is a metal additive manufacturing conference, which brings together industry professionals to network and learn from each other about the latest developments and innovations in metal powder technology. The conference will cover most relevant metal AM topics, including materials, applications, technical barriers and process economics. The three-day event will also feature an exhibition with more than 100 industry players highlighting leading equipment, powder, and processing solutions. 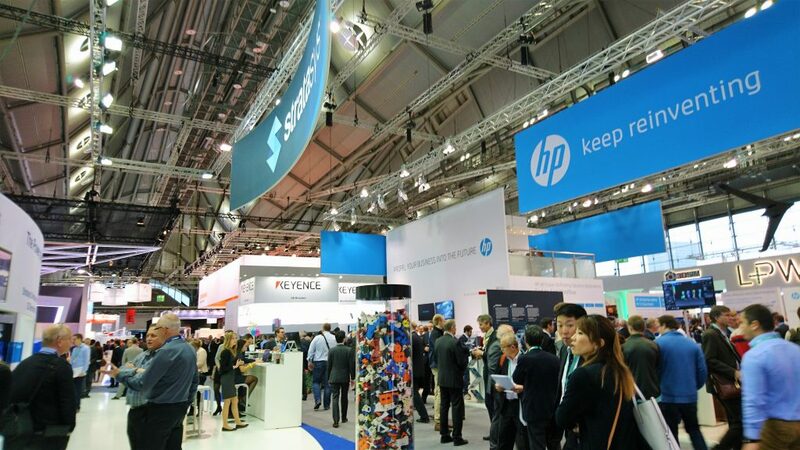 Rapid.Tech + Fabcon 3.D is an international trade show and conference for additive manufacturing, attracting more than 200 exhibitors and 5,000 trade show visitors to central Germany each year. It showcases the latest innovations and applications for AM, including rapid prototyping and end-part production. The Rapid.Tech user conference provides a platform for the exchange of knowledge between researchers, developers, designers and users of AM technologies. Informative lectures combined with expert discussions offer the attendees a great opportunity for networking. The accompanying trade show will host major industry players, presenting the latest innovations in this field. With participants from over 18 countries, it is one of the most important European AM events. APICAM stands for Asia-Pacific International Conference on Additive Manufacturing and has been designed to enable knowledge-transfer and new partnerships that will enrich the 3D printing industry. Now in its second edition, the event provides a forum for the presentation of advanced research and development across various aspects of additive manufacturing. The conference will be covering the critical 3D printing applications areas in the automotive, biomedical, defence and aerospace industries. The second International Conference on Simulation for Additive Manufacturing is dedicated to discussing AM design optimisation approaches and solutions to support the transformation of AM into an integrated design to manufacturing tool. At the conference sessions, attendees will gather to talk through the topics including material modelling, topology optimisation and simulation of different 3D printing technologies, among other things. 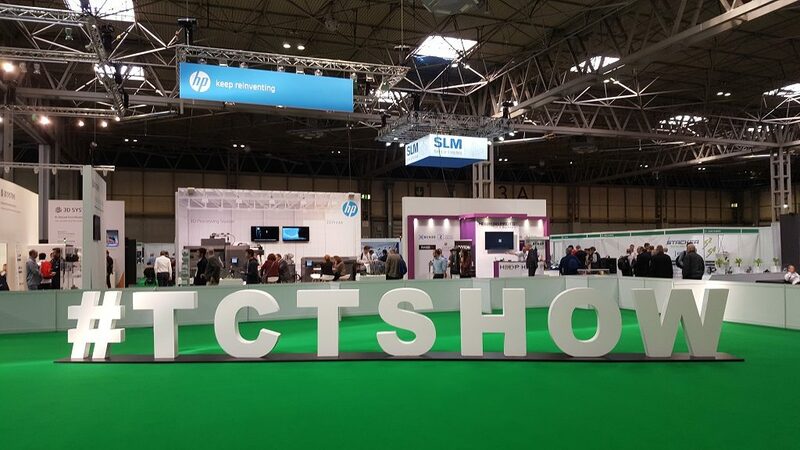 The TCT Show is the UK’s leading trade show for advanced digital manufacturing technologies and design. The trade show offers three days of innovation, announcements and product debuts. At the trade show, you’ll find learning zones, live demonstrations and product launches as well as world-class conference and seminar programmes. Expect advances in additive metal and polymer technologies, materials and software that will shape manufacturing in the future to be on display across the show floor. The fourth edition of IN(3D)USTRY will once again bring together additive manufacturing stakeholders and industry professionals on a European scale. The event will be focused on promoting the industrial use of additive manufacturing whilst highlighting the latest developments and prominent applications of the technology. The trade show incorporates additional industrial sectors where additive manufacturing has a great potential for disruption such as moulds and dies sector and robotics. Polymers + 3D is a materials conference focusing on the use of polymers with additive manufacturing technologies. The conference and workshop is aimed at both novice and more experienced researchers, who will have the chance to learn about 3D printing with high-performance polymers as well as smart additives and formulations methods including nanomaterials. FABTECH is one of the largest manufacturing trade shows in North America. It features both traditional and new, innovative manufacturing technologies and solutions. Attendees will find a variety of technology pavilions, including 3D/Additive Manufacturing pavilion. With an anticipated attendance of 48,000 people, FABTECH 2019 provides a venue where you can meet with world-class suppliers, see the latest industry products and developments. Formnext is one of the biggest, if not the biggest, exhibition and conference dedicated to the additive manufacturing industry. Growing year on year, the exhibition and conference has established itself as the major event to attend with many innovations unveiled. The international formnext conference will showcase current and future applications of additive technologies. The event will also cover a wide range of prominent discussion topics, from the latest advancements in product development and industrial manufacturing to design, ongoing vocational training and related legal and standardisation issues. The conference thus offers real value to exhibitors and visitors alike. This summit and exhibition is dedicated to reviewing the potential of 3D printing in the medical and dental sectors. From 3D printed implants to digital dentistry to surgical modelling, the conference will address a range of topics highlighting the most effective procedures and business opportunities in medical and dental 3D printing. It is the 4th international conference on 3D printing in medical with a focus on the implementation of additive technologies across various medical fields. Aimed at medical professionals, the conference program will cover a range of areas, including 3D bioprinting, 3D printing in dental and orthopaedic applications, and also the legal and technical challenges of 3D printing in the industry. The conference covers key questions like the role of additive manufacturing processes in car body engineering, what suppliers are currently offering in the field of AM and much more. The event features technology lectures, presented by well-known OEMs and suppliers, including representatives of BMW and TRUMPF. In addition, there will be a workshop for professional knowledge exchange. Each year, top decision-makers from the automotive industry and supply chain, mechanical engineers, 3D printer manufacturers, material suppliers and research institutes gather to discuss the latest trends and developments in the automotive industry in the field of additive manufacturing. Around 150 participants and 10 exhibitors are expected to visit the fifth edition of the conference this year. Keynote speakers will report on their current AM applications and challenges, and you can also expect exclusive workshops and intensive networking. The highlight of the conference is the factory tour, which will take place at EOS. AeroDef Manufacturing is the leading exposition and technical conference for the aerospace and defence industry. AeroDef showcases the industry’s most advanced technologies, including additive manufacturing, and is designed to facilitate interaction and business relationships between exhibitors and buyers looking for integrated solutions. Highlights of the conference are keynote speakers coming from the highest level of government and business. The annual Military Additive Manufacturing Summit & Tech Showcase provides an educational and training venue, which brings together stakeholders from military services, defence agencies and civilian organisations to discuss the role of AM in the military industry. This year’s event will focus on advancements needed to further drive the use of additive manufacturing technology in the military sector. The summit will also be looking at the benefits of AM offers to the warfighter in deployed environments.